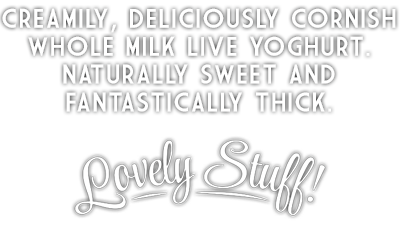 The flavour and texture of our delicious creamy yoghurt comes about because we don’t compromise on the ingredients. We use fresh whole Cornish milk and our specially selected cultures to make a uniquely full and flavoursome natural yoghurt. Then all that’s left to do is pot it! All the good bacteria are kept alive through our careful process, helping the creamy texture and ensuring it’s good for your insides.